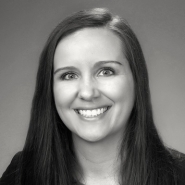 Dinsmore & Shohl LLP has added Jacqueline Rau as an associate to the firm’s Columbus office. Rau will practice out of the labor practice group. After six years as a field attorney in Arkansas, Rau joins Dinsmore from the National Labor Relations Board, Region 15. Rau investigated hundreds of cases of alleged violations under the National Labor Relations Act and successfully represented the General Counsel in unfair labor practice hearings. She argued on behalf of the Board in the U.S. District Court for the Eastern District of Arkansas in a section 10 injunction hearing. Rau received her J.D. from The Ohio State University, Moritz College of Law and received her B.S. in industrial and labor relations from Cornell University, School of Industrial and Labor Relations. During law school, Rau served as research assistant and received the CALI award for highest grade in labor law.